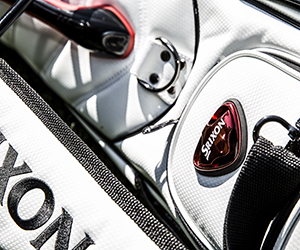 Welcome to the SRIXON Website. We appreciate your interest in our company. Protection of the personal data you entrust to us is a priority for us, and we want you to feel safe and secure when you visit our website or use our online offers. Srixon takes appropriate technical and organizational measures to protect any personal data you provide to Srixon from accidental or intentional manipulation, loss, destruction, or access by unauthorized parties. This also applies to any external services purchased. We verify the effectiveness of our data protection measures and continuously improve them in line with technological development. Any personal data entered are encrypted during transfer using a secure encryption process. Once clicked, the button functions as a share plugin. The social network then obtains information about the site you have visited, which you can share with your friends and contacts. You need to be logged in to “share” information. If you are not logged in, you will be forwarded to the login page of the social network you have clicked, thereby leaving the pages of www.srixoneurope.com. If you are logged in, your “like” or recommendation of the article in question will be transmitted.